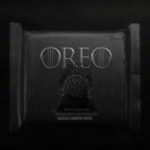 Last month Oreo’s announced that they were teaming up with HBO and Game of Thrones to give us a limited addition Oreo in honor of their final season. At the time all Oreo gave us a glimpse of what the package would look like. 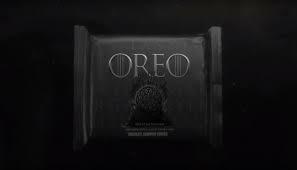 After seeing the initial picture I began to wounder if Oreo would give the GOT special addition flavor to go with the theme. I’m just glad I wasn’t alone in this because T-Rav was hopping for the same. In fact he suggested dragons breath as a flavor while I was hoping for a wine or ale flavored Oreo. While the wait finally ended yesterday when Oreo took a page out of GOT to reveal it’s final product. Turns out all we are getting for this special addition Oreo are emblems from each house. Don’t forget the final season of Game of Thrones debuts on April 14th on HBO.